Having a baby is socially contagious! If one of your good friends gives birth, you’re more likely to become pregnant in the next two years. It’s due to “social contagion” – that’s the term psychologists use to describe how our friends’ behaviors and attitudes can influence our own behavior. And a study in the American Sociological Review found that one of the biggest predictors of when a woman will have her first child is when her friends start having children. Get your baby off the bottle ASAP! Children who still drink from a bottle at age TWO are 30% more likely to be obese by age FIVE! That’s because most bottles are filled with high-calorie drinks – and kids sip all day long. 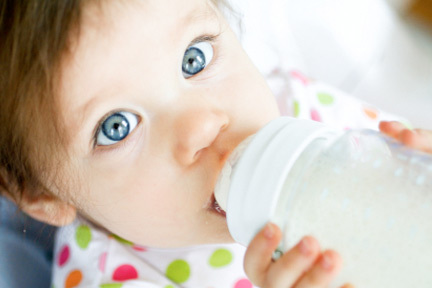 The Journal of Pediatrics says start weaning your child from the bottle after their first birthday.